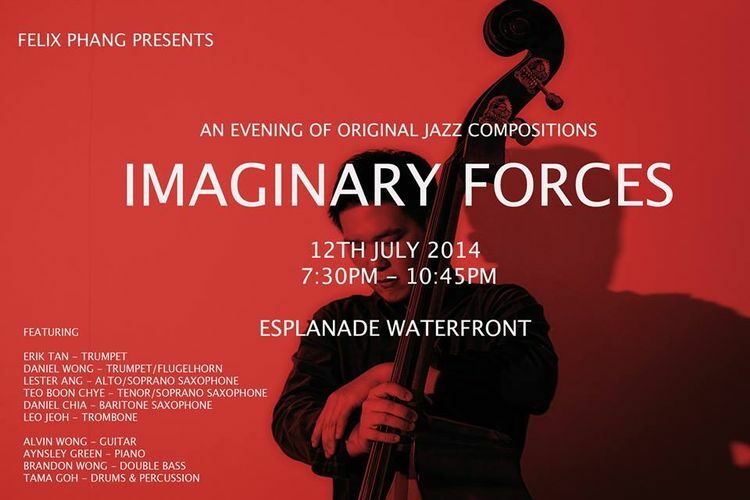 Imaginary Forces is a 10-piece contemporary jazz band featuring compositions by Felix Phang. He is often inspired by emotions sparked off by his imaginary inner world. Through emotion, there is energy and through energy, there is life. Felix hopes that his music can leave an impact on lives, to inspire, bring joy or even to resonate with sadness. A Jazz Composition graduate of the Berklee College of Music, Felix Phang is a double bassist, violinist, trombonist, composer, arranger and educator. Felix explores and composes music in a wide range of styles. His education in America introduced a whole new dimension in the classically trained violinist’s mind, opening doors to the exciting and boundless world of jazz music part of his personal creed. He plays and records for diversely different jazz groups including world music outfit Qilin Group and European jazz influenced quartet FRED.